One question we’re asked frequently here at the FilmingLife Academy is where people can source great music for their films, legally. Whether you’re creating a film for a paying client, or simply a film for your own personal enjoyment, it’s important to make sure that you’re using music that you’re legally allowed to use. There’s a common misconception that if you’re just creating a film for your own personal archives, then you can just use any old song you find on iTunes and you’re all good, but that’s simply not true. If you want to use music in your films you MUST buy a license. There are many music licensing websites around these days, and many of them offer a fantastic range of beautiful music that you can legally license and use for your film projects. These websites have a vast range of prices & quality, so it pays to spend a bit of time browsing through a site’s music catalogue before committing to any subscriptions. Thankfully a lot of sites these days offer both pay-per-use licenses and catalogue subscriptions, so you can choose the option that is most affordable for you and your situation. And with Black Friday sales just around the corner make sure you subscribe to their newsletters now, because they often have massive discounts on offer for subscription memberships, saving you up to 70% off the standard subscription price and making even the higher-end websites affordable. These are just 5 of our favourite websites from which to source royalty-free music, feel free to add your favourite music sites in the comments below. Music Bed, considered by most to have the very best quality music available has recently introduced a subscription model if you’re a regular purchaser of music licenses and want to save money but still get top quality sound. For those that the subscription model doesn’t suit, they still offer the music in their catalogue on a pay-per-use basis, meaning you can just select and buy one song, rather than having an ongoing cost. Soundstripe are still relatively new to the music-licensing game, but they are fast gaining ground and building a great catalogue of affordable music. 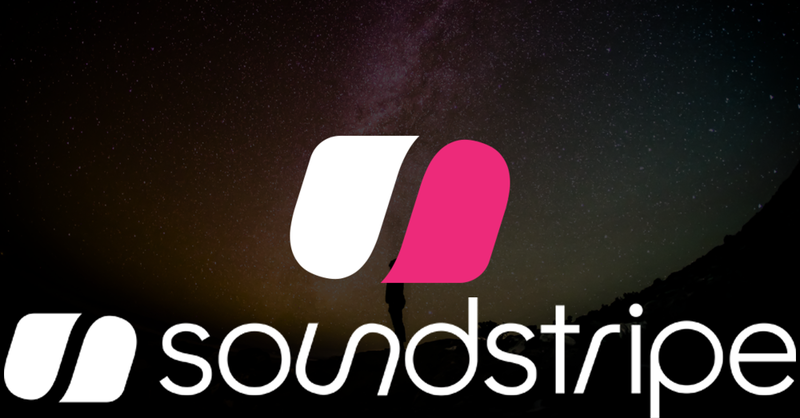 Soundstripe is the most cost-effective of the subscription-based websites, and a really great choice if you plan on making more than a film a month but can’t afford the outlay at Music Bed. Licenses are straight-forward and cover you for almost any kind of use. Their customer service is also the best in the business, and they have an active Facebook community for getting help with finding music for your project or making suggestions for improving their catalogue & website. Triple Scoop is another great mid-level place to source music. They offer pay-per-use licenses, as well as the option to upgrade to a subscription model. They also have excellent customer service, and a decent range of good music if you’ve got the patience to look for it. Song Freedom/Fyrfly is now a subscription based model and it is quite expensive if you’re not making lots of films on a regular basis. However, their range of music is really good, and their premium offerings (where you pay an extra $10 for a premium song) include heaps of well-known, mainstream music from big-name artists. Audiosocket is the cheapest licensing website in this list, but you can still find some beautiful instrumental gems as you browse through their catalogue. Audiosocket is the place to get your music if you’re only just starting out in film and just want to get some nice music to practice editing your films to. They offer super cheap personal licenses ($5USD) which allow you to use the music for your personal films, however you can’t include any branding in the film or use it in a video that will be used to promote your business. You can upgrade your license and get one that does allow you to use your business’s logo while still being affordable for people who may only just be starting out or creating free films for portfolio building purposes. No matter which music licensing website you choose (and there’s no reason why you can’t use more than 1, we do!) make sure you read & understand what type of license you’re buying. If you’re in any doubt as to which license you can use for your project it’s always best to get in touch with the websites help centre who will be more than happy to point you in the right direction. To learn how to film YOUR story, sign up to the FilmingLife Academy and get instant access, today!